More than 3,000 miles – including an ocean - divide Boston from the southern French city of Toulouse. Yet, I can’t help noting a pattern of similarities between the young men who carried out attacks in the two cities within the span of a little over a year. 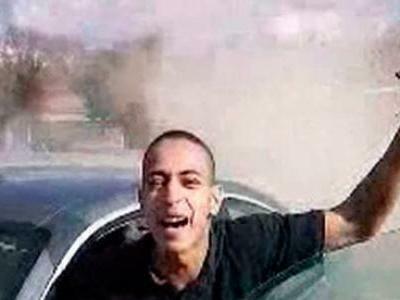 In March 2012, Mohamed Merah went on a rampage, killing seven people – including children at a Jewish school - in a series of gun attacks. He was killed in a police commando raid on his Toulouse apartment following a nail-biting 34-hour standoff. On the face of it, there aren’t that many parallels between the Toulouse attacker and the Boston Marathon suspects. Merah was a Frenchman of Algerian origin. 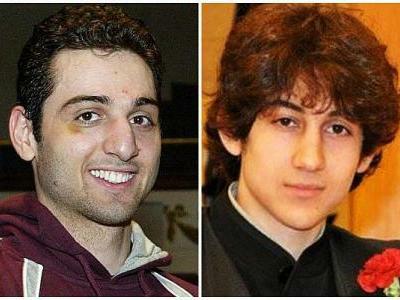 The Tsarnaev brothers are of Chechen origin – one was born in Dagestan, the other in Kyrgyzstan. If you’re looking for geographic links, you’ll be jumping between four continents and end up with nothing. But on Friday, April 19, as Boston froze in manhunt lockdown and details of the brothers started to trickle in, I couldn’t help noting distressing parallels in the trajectories of the young men. By all accounts, the elder Tsarnaev brother, Tamerlan, appeared to be the jihadist heavy-hitter. Reporters studying Tamerlan’s online footprint found YouTube posts of Sheikh Feiz Muhammad, an Australian jihadist cleric of Lebanese origin. Another post included “The Army of Khorasan and the Islamic Revival” – also called “The Black Banners of Khorasan” – an odiously long clip featuring the usual macho, hadith-intoned fantasies of marching Islamist armies, this time in Khorasan, the ancient term for the region covering modern Iran, Afghanistan and the Central Asian steppes. In contrast, the younger brother, Dzhokhar, seemed easy-going and better assimilated, with friends noting no signs that the 19-year-old was an angry young man on the online jihadist trail. It doesn’t take a leap of imagination to conclude the bright sophomore at University of Massachusetts Dartmouth was influenced by – and possibly subtly coerced into - his elder brother’s toxic worldview. Like Dzhokhar, Merah, the self-confessed Toulouse attacker, also had an older brother who was far more radicalized and indoctrinated in jihadist ideology. Abdelkader Merah – or Kader as his family called him – has been charged with complicity in the Toulouse attacks and French prosecutors say he supported and financed his younger brother’s trips to Afghanistan and Pakistan for training. 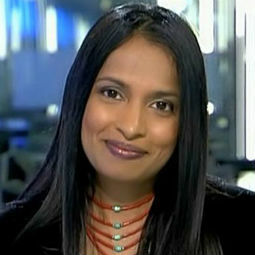 Kader denies the charges. But the oldest Merah brother, Abdelghani Merah, has described Kader as a “tumour” who spawned a “monster” out of a hapless boy who attempted suicide at least once, unsuccessfully tried to join the French Foreign Legion, engaged in petty crimes, and had a difficult childhood. The dismal Merah family life was detailed in Abdelghani’s book, "Mon Frère, Ce Terroriste" [My Brother the Terrorist] which was published in November 2012 and is a very depressing read. If Mohamed Merah and Dzhokhar Tsarnaev had powerful, indoctrinated older brothers, they also had absent fathers. Merah was brought up by a single mother after his father abandoned the family and returned to Algeria. In his book, "Mon Frère, Ce Terroriste," Abdelghani Merah documents a childhood with an abusive father who became a drug dealer. On the other hand, relatives and friends of the Tsarnaev boys describe the father, Anzor Tsarnaev, as a hardworking man who brought his family to the US to give them a better life. Accounts of why the Tsarnaev parents left the US to return to Dagestan vary. In an interview with ABC News in the Dagestani capital of Makhachkala, the suspects’ aunt said the boys’ father had medical problems and figured that if he died, “he would at least be buried here”. Whatever the reasons, Dzhokhar’s father was not in the US with his 19-year-old son, which is a perfectly understandable situation. He probably thought his older boy would look out for his younger son. If that’s the case, it was a tragedy-in-the-making. In an interview with The Huffington Post, a high school friend of Tamerlan noted that with the father gone, the older brother assumed a kind of paternal role. Another friend agreed that Tamerlan felt pressure to take his father's place. "He had to be a man at a very early age," the friend said. "That would be, in my opinion, a huge reason for who he was, all serious and no nonsense." After more than a decade covering Islamic extremism, I’ve developed what I call my “personal radicalism radar”. I won’t bore you with the details, but “father figure” features high on my radicalism radar for young men. It tells me volumes, and at times, it explains everything. 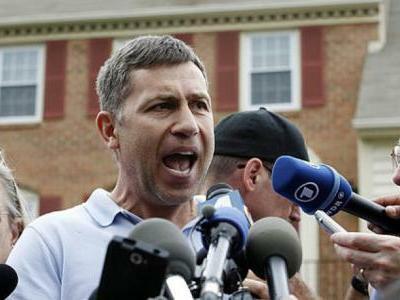 On Friday afternoon, I was riveted by the impromptu presser by the Tsarnaev boys’ uncle, Ruslan Tsarni, on his Maryland lawn. The strapping, visibly angry uncle supplied his explanation for radicalization that was so simple, I could use it to explain the range of radicalized men from jihadist grandfathers such as Sayyid Qutb (who couldn’t quite hack it as a student in the US in the 1940s), to lightweights such as the American Omar Hammami hanging and bragging around al Shabaab’s Somali wilds. “Losers,” Uncle Ruslan thundered when asked what provoked his nephews on the radical track. Watching him holler his message to his then-absconding nephew to turn himself in, I couldn’t help thinking that if the uncle was the kid’s father figure, we might have been spared this Boston-wide manhunt for one messed-up but probably terrified 19-year-old. At one point, the uncle made a very telling comment about the family. “They are children of my brother who had little influence on them honestly, really, as much as I know,” he said. Of course I’m not saying fathers are an anti-jihadist defense shield. If your kid is slipping down the radical slide, chances are he’s hardly likely to listen to you. But then there are fathers who manage to do the right thing. 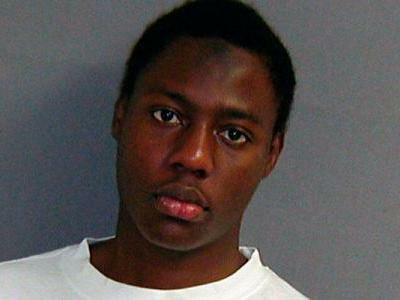 Remember the Nigerian “Underwear bomber” Umar Farouk Abdulmutallab? This is the kid who attempted to blow up a Detroit-bound flight on December 25, 2009, by trying to ignite explosives in his underwear. A month before the planned attack, Abdulmutallab’s banker father contacted officials at the US Embassy in the Nigerian capital of Abuja to report his son's "extreme religious views". He also told US officials that his son, who had severed ties with the family, might be in Yemen. The FBI has admitted that it interviewed Tamerlan at the request of the Russian government, which was concerned that he was a “follower of radical Islam”. This was in 2011. The agency then scoured Tamerlan’s phone and online records before concluding he was not a threat. So, when the elder Tsarnaev brother made a six-month visit to Dagestan last year, no alerts were triggered. The Toulouse attacker too was known to the DCRI, the French domestic intelligence agency, which frankly, has a better grip on domestic Islamist threats than their counterparts in the US and the UK. But that did not stop Merah from conducting his attacks because the DCRI did not think the petty criminal flirting with jihadist ideas had crossed the line into planning attacks. If there’s one lesson from the 2009 underwear bomb plot, the 2012 Toulouse attacks, and the 2013 Boston Marathon bombings it’s this: Western intelligence has a wide grip on jihadist threats. The problem is, the threats are so wide and often so low-level, it’s easy for the odd domestic lone wolf to slip through. Both Merah and the younger Tsarnaev were citizens of the countries they attacked - or in Dzhokhar’s case, allegedly attacked. Merah was born in France and as a French newspaper put it, he was “a child of France”. His dismal life story in the Les Izards suburb of Toulouse, a high crime neighbourhood of gangs and loitering hostile youth, is a textbook case of societal neglect and the system’s failure to catch a young man falling through the cracks. Dzhokhar Tsarnaev came to the US at nine and went to the ethnically diverse Cambridge Rindge and Latin high school, where his classmates’ parents included academics, writers and folks known for their liberal views. His brother though never fit into this liberal, ethnically diverse world. But that’s where the similarities end. In the aftermath of the Boston manhunt, I’ve heard a couple of pundits expound on the alienated sons of immigrants who get radicalized and turn violent. Frankly, that makes me wince and I worry that these latest attacks will boost the anti-immigrant spin. France, like the US, has had immigrants for centuries and most of them have experienced levels of alienation, loss and loneliness without gunning down children or blowing up innocent civilians. Their sons, for the most, have juggled seemingly conflicting identities without killing people. If we start plumbing the depths of societal alienation and identity conflicts, we’ll get lost before we even begin. The answer lies in the pull of jihadist-sprouting online and social circles, not the push of the immigrant experience. 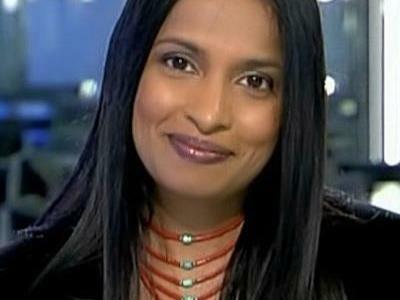 It only takes five minutes of watching those odious online jihadist sites for fairly intelligent folks to conclude it’s gobbledygook. Black banner-bearing fighters aren’t going to ride into town on horseback from Khorasan and folks who buy that fantasy are simply, as Uncle Ruslan eloquently put it, “Losers”. dear france 24 journalists! sorry to tell you! if you treat some of the other comments like mine, no wonder that there are so few or no comments at all at france 24 features. either not posted or censored or ignored why do you ask people to comment? no more interest in writing lines that never get posted. not much interested anymore in accessing your site as a consequence. some reports though are really nice (no doubt!). some by contrast have a lot of spelling mistakes + the censorship or unprofessional attitude towards comments is really annoying. maybe you don't care but if others feel the same you might lose readers... hope you'll manage to change this unpleasant situation.